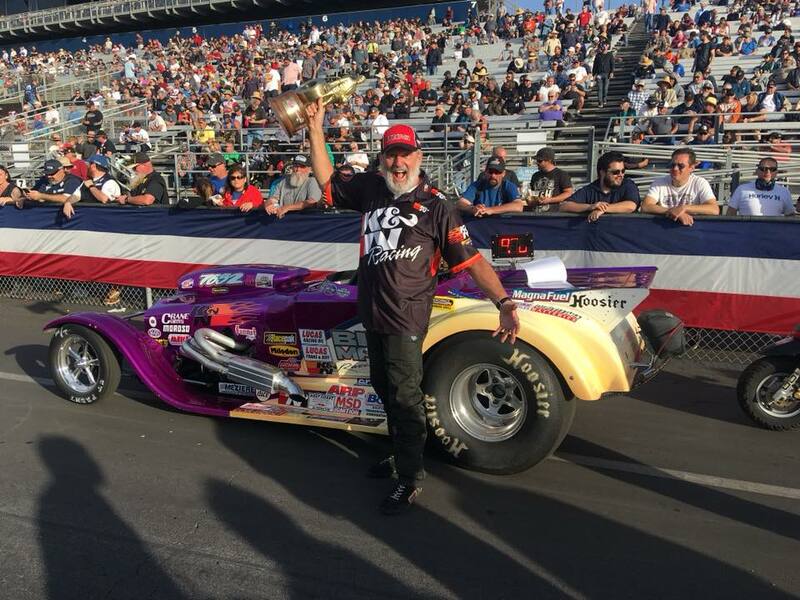 The McClelland name and the Pomona Fairplex go hand in hand with the history of the NHRA which is why it's only fitting that Kevin McClelland would add a new chapter to the McClelland family legacy with his victory at the 58th annual Lucas Oil NHRA Winternationals. All weekend long McClelland was strong on both ends of the track. His round 4 win on Saturday was within 0.007 seconds of his dial-in time and in his final four rounds he would grab the holeshot including the final round where his 0.007 light would force his opponent to breakout while McClelland would pilot his K&N/Lucas Oil Ford roadster to a conservative 9.924 second run and clinch the Super Gas class "Wally" in the process. The win is McClelland's 5th national event victory, his third win at Pomona and his first at the Fairplex in 21 years. 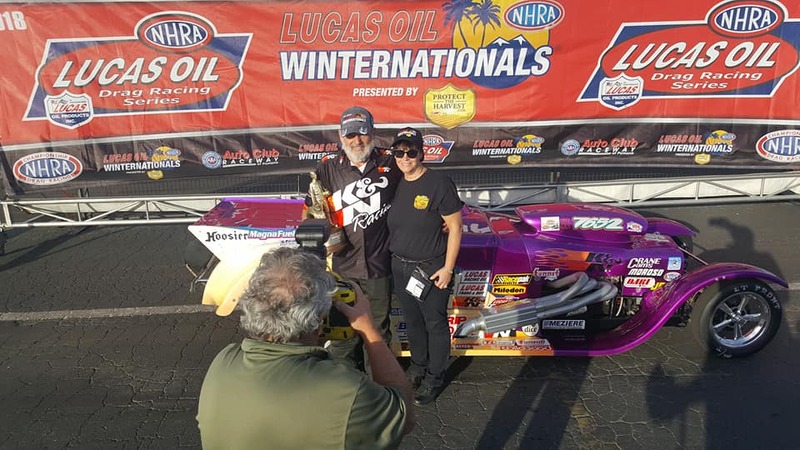 "This has probably been the best 10 days of racing I've had starting with the Pro Gas and Super Street banquets, my runner-up finish at Fontana and now the Winternationals win," said an ecstatic McClelland. "It's so hard to win a National event because you have to be nearly perfect to win 6 rounds of racing against some of the best drag racers in the country. But the car was flawless and we didn't make mistakes. Execution is key and this weekend we got the job done." Team Tuna Tank will have a short break before their next event on March 3rd at Auto Club Dragway in Fontana, California where the team will be competing in the SoCal .5 Prolight Series event. Team Tuna Tank would like to thank all of their sponsors who support their program including Big Mac Racing, K&N, Lucas Oil, B&M, Flowmaster, Milodon, Dart Machinery, Racepak, Hoosier, Biondo Racing, Meziere Enterprises, Ken Casey at John Elway Chevrolet and AEM.